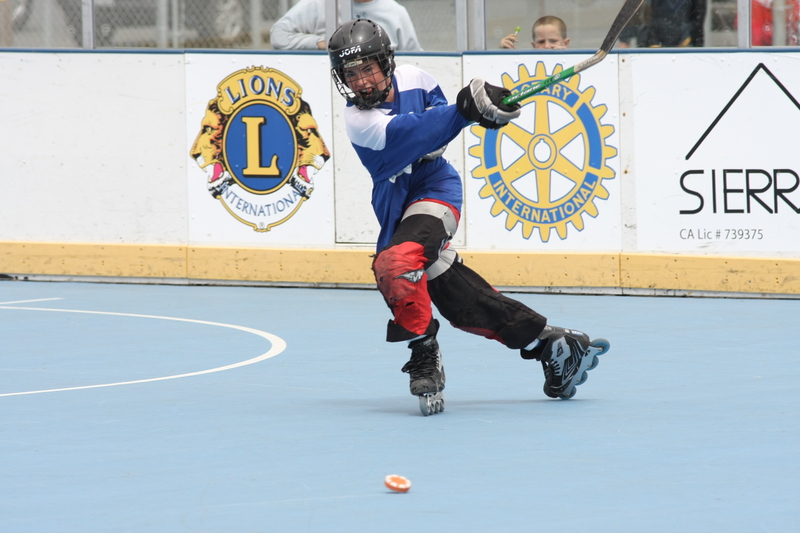 Roller hockey has thrived on the coast since 1992, when the Northern California Hockey League (NCHL), part of the non-profit CYA, began play at the Half Moon Bay Airport. 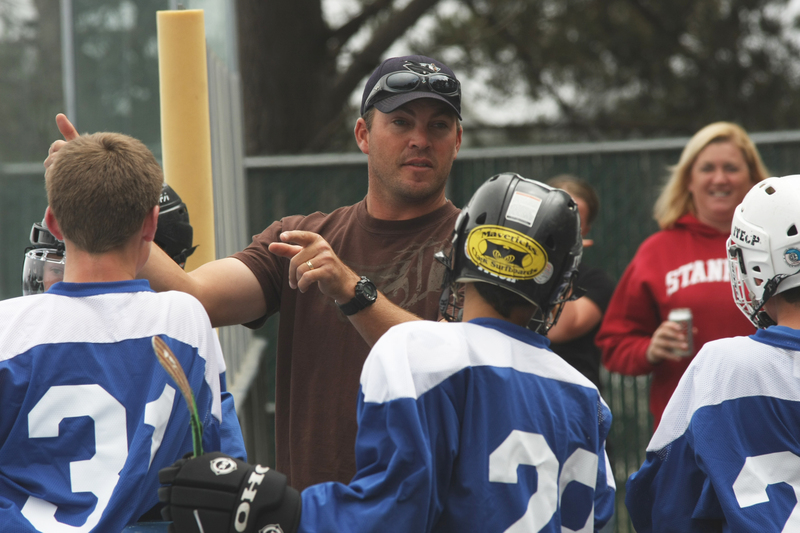 The NCHL has developed more than 1,000 youth hockey players living in the Pacifica-to-Pescadero region in northern California, and nearly 120 players and their families have participated each season. enterprise. but soon after people including Brian McNamara, Mark Stegmaier, and Luz Preciado, took it over and made it a non-profit. A few years ago, before the NCHL strike, there were as many as 160 boys and girls playing in the summer season. 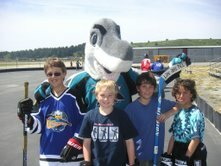 The year 2008 was a high-water mark for the NCHL, as we just opened the new Boys and Girls Club Rink at Half Moon Bay High School. In 2008 we had nearly 120 kids registered for the 2008 summer season, and a dozen teens played on the HMB High School Club team that just began competition in a high school league in San Jose. We hope to open registration in the next week for a Fall League with 50-60 kids. Fast Facts: Approximately 10% of the NCHL players are female. Approximately 8% have minority status. Approximately 5% are on scholarship in the league or have reduced funding. I live in Montara, so the rink was more convenient when it was locatedat the HMB Airport, though I’m happy to drive to HMB for the incredible facility. Hope you’ll contact me if you have any questions. a most remarkable month of sea kayaking, mountain climbing & photo/filmmaking adventures in the beautiful Land of the Vikings – a tough, thankless job, but somebody’s gotta do it. 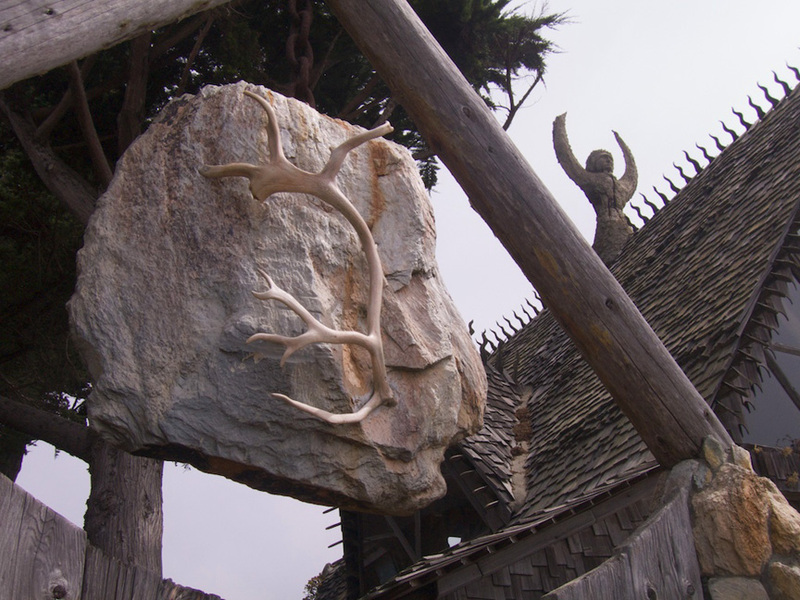 PS: The reindeer antler you see above in the Svalbard Islands, 500 hundred miles south of the North Pole… miraculously made it home from the Arctic & through U. S. Customs to now proudly rein in its rightful place, upon the great Viking Stone here on Miramar Beach. To enlarge the beautiful images, click on the photo! Do it!! Bryant Wollman said he didn’t much like reading about himself, especially on the Internet, but he forgave my mentioning him in a story about Farmers Feed, our old 1970s food club, because he said it was sweet. The last time I saw Bryant was at Davies Hall in San Francisco, maybe a year ago. 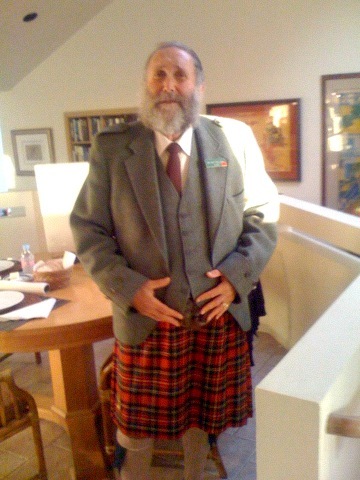 He was impossible to miss, decked out in full Scottish plaids, kilt, sporran, the works. He looked wonderful. He said that he had had trouble with his heart, but that he was in a hospital group focused on recovery from cardiac incidents, and that they told him he was a model patient. There were lots of things about Bryant that not many people knew. They saw him in his mail truck, delivering letters along Half Moon Bay’s Route One, but they probably didn’t know that he had once belonged to Mensa, the genius society, or that he briefly attended medical school. 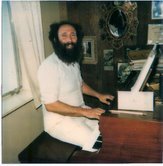 They may have known that he played the lead in “Fiddler on the Roof” in Santa Cruz, but they may not have known he played Wicked Willie Whoppergotter in a Farmers Feed production at the Bach Dancing and Dynamite Society some years earlier, in 1972. Some people may remember when Bryant dressed up like Saint Nicholas (“Not Santa Claus,” he said. “This is how the real Saint Nicholas dressed.”) He would distribute toys and gifts on his way to midnight Christmas mass at Grace Cathedral in San Francisco. We were on his route one year, and he gave us a little candlestick which angels would fly around when you lit the candle. Bryant’s friends made sand candles at the 40th birthday party he gave himself, alas, only 21 years ago. 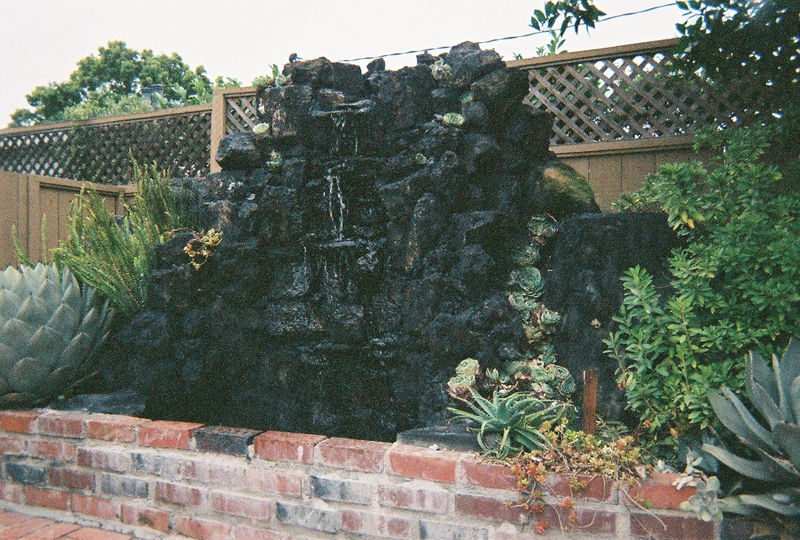 He and Gene Fleet made a paradise garden on the Tunitas bluffs, planting right over the tracks of the old Ocean Shore railroad. When my daughter disappeared, they brought food to the house, even if I couldn’t eat. They had Joe and the kids build a bridge over a gulf their goats would not cross, and I wrote a poem about it. He blew the conch to summon the herdsmen. From the next valley came an answering call. crossed over the sheer drop to the ocean. Bridges are something else, he said. The children cut the ribbon. He drove the gold stake. and ran away from the goats, they chased him. You may or may not remember me. I was living on the coast from 1972-1975. Lived around the corner from Michael Powers, who had the same birthday as me, in front of the Film School at 16 Alameda Avenue, when the Miramar Beach Inn had a dirt floor. I was best friends with Karen Zugay when she was dating Peter Adams. You may remember me as the bellydancer who taught at the Ballet School on Main Street, Cunha Middle School and at the Bach Dancing and Dynamite Society. Karen, Sharon and I were always together. I’ve been having these dreams recently about people I used to know on the coast – one of them being David Norkett. I googled him and found your site. I know I must have run into you many times at parties because I remember your name but know we didn’t have any close personal experiences together. 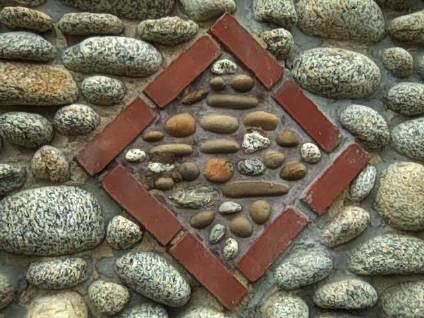 I was wondering why there wasn’t any blogs on Carolyn Woods, John Essa and the parties at the Vallemar house? Jim Rudolph and Cathy Bristol. Georgia Guido, Richard Henry’s crazy green card wife. The german mechanic over by Alpha Beta who rode the bike, but hated cars. Paco de Espacio. Sandy and David Bickland. Cherie Harper. The Ace of Cups. Or David Bagley and Robin Rouke who lived next door to me when I lived at the Wienke Way house on the corner. You had to know these people. It was great to see more recent photos of Peter Adams, read the message from Tamale Jerry, and even discover Richard English had died. 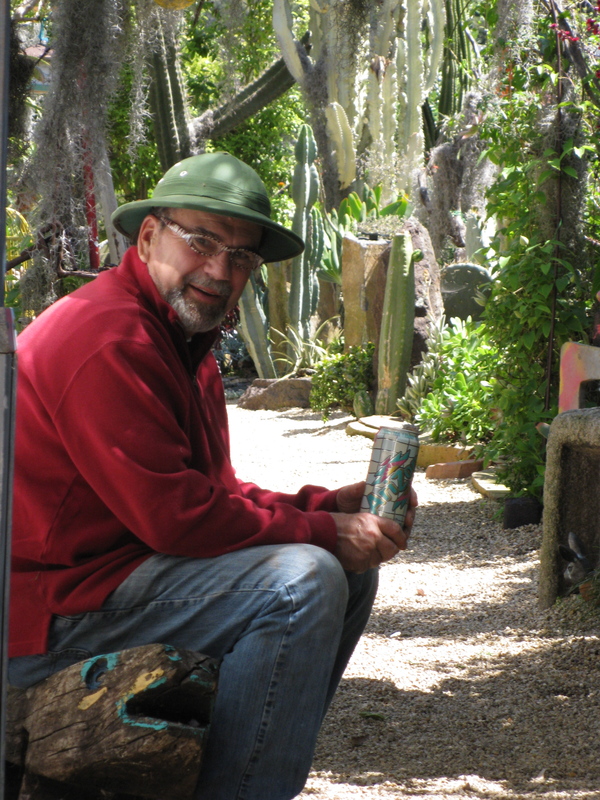 He heckled me whenever I walked into any bar on the coast where he sat drinking. I have no idea why. I still felt sad to hear he had passed. This photo is of me and my dancers at Pete’s Bach Dancing and Dynamite Society performing a gig. I’m on the far left, then Marj Staples, Cathy Brubaker and Lindsey. Can’t remember her last name. She worked for the city. Every time I would get stuck stopped for road repairs on 92, there would be beautiful Lindsey in a hard hat stopping traffic! If you look really close, that’s Karen Zugay in the satin pants next to me holding the tambourine. 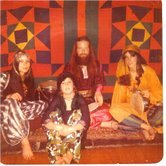 I’m including another photo circa 1974 where I performed with Malia De Felice (who still lives and teaches on the coast), Michael Lane aka Jalal, who was a roommate of Karen and Sharon Zugay, and Cherie, who danced with me from age 6-12 with a gigantic brass tray balanced on her head. 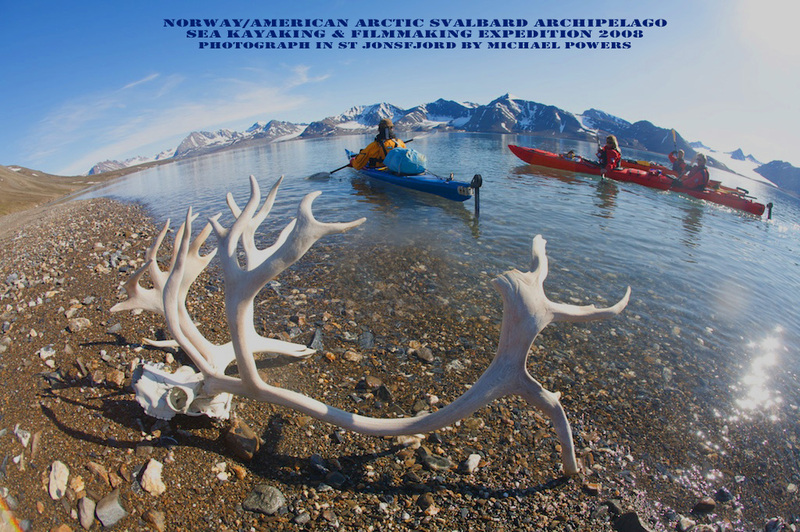 I’m safely back home in California after our truly extraordinary adventure up in the Arctic Svalbard archipelago 500 miles north of continental Norway. 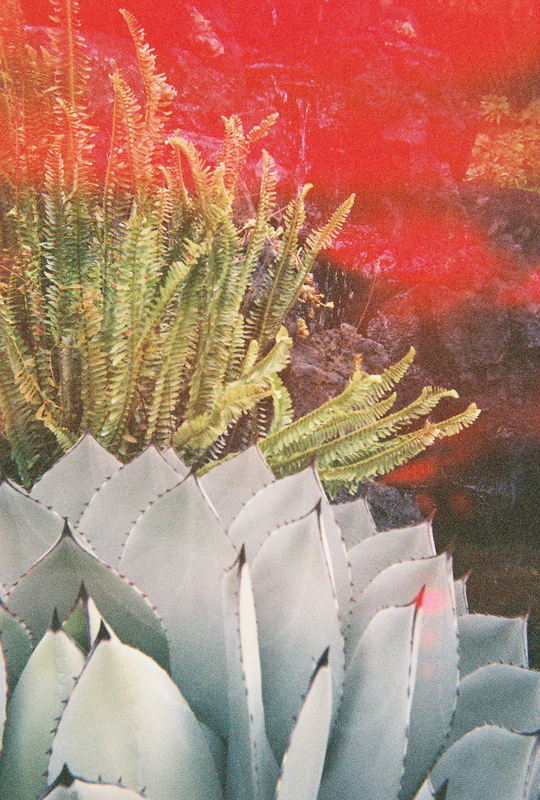 I’ll send you some of my highlight images & perhaps some of Mark Fraser’s video, asap. 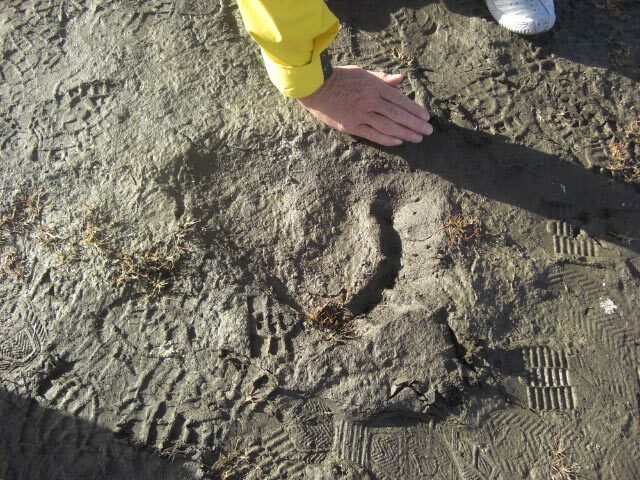 In the mean time, here is a photo that one of the Norwegians on the expedition just sent me, of the fresh isbørn (ice bear) tracks he discovered one morning, just a few feet from his tent. 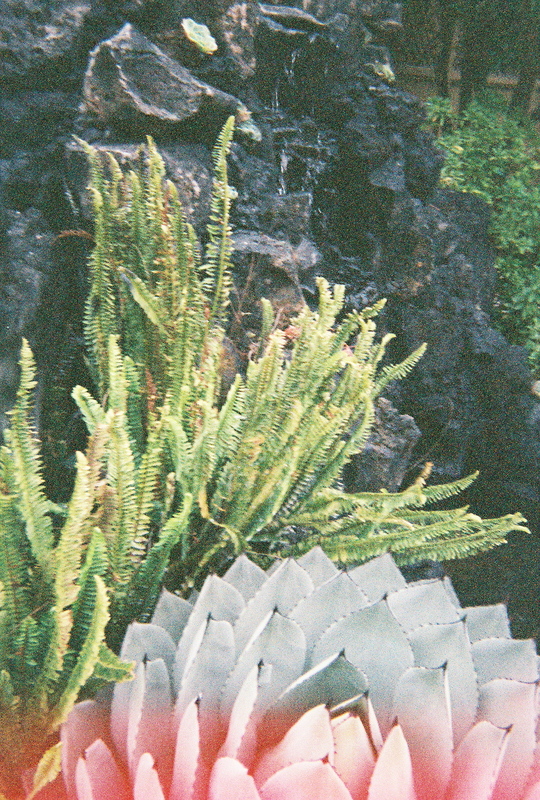 Notice the size of it, compared to the human hand. Nice to be back here, where all we have to worry about is an occasional great white shark. 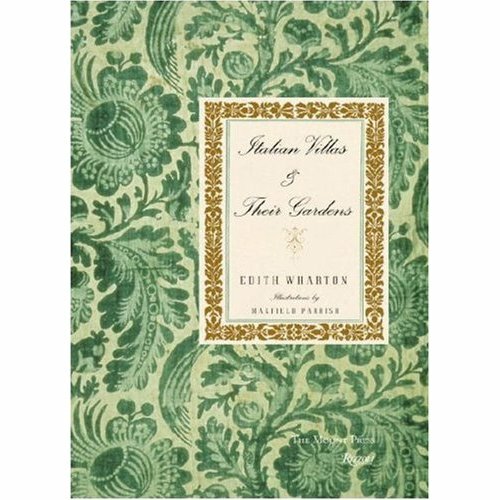 Rizzoli has reissued the original book Italian Villas and Their Gardens by famous East Coast writer Edith Wharton; inside there are pretty garden images by artist Maxfield Parrish, who adds his trademark magic to the illustrations from more than a 100 years ago. 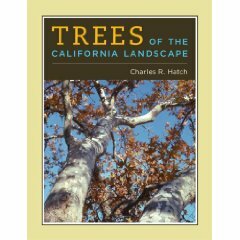 The Wharton-Maxfield work was published the same year that Jennie Crocker wed Malcolm Whitman in San Mateo.